UK's May set to delay second parliament vote on Brexit deal: Report - SABC News - Breaking news, special reports, world, business, sport coverage of all South African current events. Africa's news leader. Theresa May is set to travel to Brussels on Thursday. 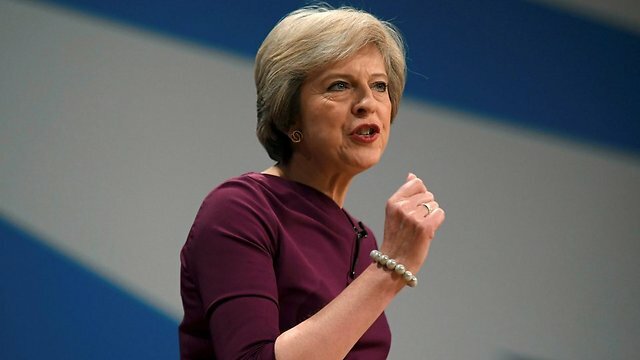 British Prime Minister Theresa May is preparing to delay the second parliament vote on her Brexit deal until the end of February, the Telegraph newspaper reported on Wednesday. The prime minister’s chief enforcer, or whip, indicated at a cabinet meeting on Tuesday that the vote would not be held next week as expected because May will not have renegotiated her deal in time, the report said, without citing its sources. Last month, British lawmakers rejected May’s original deal that set out the terms by which Britain would exit the European Union. They voted to demand May seek changes to the treaty. But the EU has will make no new offer, European Council President Donald Tusk said on Wednesday. The vote on a new deal is now being planned for the week beginning Feb. 25, just over a month before Britain is due to leave the EU on March 29, according to the report. May is set to travel to Brussels on Thursday to tell EU leaders they must accept legally binding changes to the Irish border arrangements of the divorce deal or face the prospect of a disorderly no-deal Brexit. London and Brussels are arguing over whether the Brexit deal clinched in November can be changed, raising the possibility of a delay to Brexit, a last-minute deal or a no-deal exit. On Tuesday, the Telegraph reported that ministers had discussed delaying Brexit by eight weeks. This entry was posted on 07 Feb 2019,05:39AM at 5:39 AM and is filed under World, Homepage Featured Story Slider. You can follow any responses to this entry through the RSS 2.0 feed. Both comments and pings are currently closed.